When hiring McMenamin Law Firm it was important for my own peace of mind to stay out of the legal process as much as possible. They were exceptional keeping me isolated from unnecessary negative. I was able to attend caring for my 88 yr old mother-in-law with Dementia living with us 24/7 until her passing, my wife’s passing, a personal return of cancer and a heart attack, receive proper rehab from the accident, and a myriad of related circumstances. Pat McMenamin and his entire staff possess the qualities and virtues I respect and look up to in having helped and represented me. They are thoughtful, genuine, generous, very professional, and have a compassionate nature for service. I felt the case settled most generous for me, as Pat and staff more-than-covered every aspect, and I am very pleased and grateful to have chosen McMenamin Law Firm for their thoroughness and genuine integrity. I extend them my highest recommendation. First time to need attorney and was very pleased with Pat and his staff. Pat took extra time to explain everything he was doing and worked hard to help me. He came to my home when I was not able to go to his office. Always returned calls and was very helpful with questions I had. I highly recommend Pat and his staff. Our entire family appreciates the care and attention he gave to help us. Good law firm! Pat and his staff know what they are doing and made sure I got a good and fair settlement with my car accident. Would recommend them to anyone who doesn’t want to deal with the paperwork or phone calls from insurance people. Thank you McMenamin & McMenamin for your diligent and relentless legal strategies and principles which allowed me to receive a financial settlement – by many thousands of dollars – above what was expected. Thank you and your staff for the courteous way you steered me in the right direction to be patient so that you could achieve, with your legal expertise, the best possible outcome. Lastly, but, by far not the least; thank you for hiring Kim who is so efficient at backing you. Batman had Robin. The Lone Ranger had Tonto. You have Kim. Though, of course; everyone in your firm is conscientious, friendly and professional. Many times organizations or people get review ratings because a person is angry with the products or services received. Since being your client has been such a wonderful experience. I’m grateful for the opportunity to say THANK YOU!!! I can honestly say I was really frustrated at first but they helped me through step by step and we’re always there to answer all my questions and explain things in a way I could always understand my circumstances as they changed month by month they worked hard to get me the help and compensation I deserved Thank you do much! The insurance company offered me $3500 to begin with. After hiring McMenamin & McMenamin, they got me a settlement in the 6 digits. They answered my questions and were patient so they could get me the best compensation possible. This company McMenamin & McMenamin is a great company to go through if you need help with an injury. 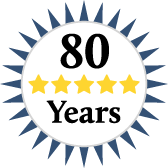 I would definitely recommend McMenamin & McMenamin to my friend’s and family…I have already recommended this company to a friend and they ended up going through McMenamin & McMenamin for their personal injury accident case and got great results.